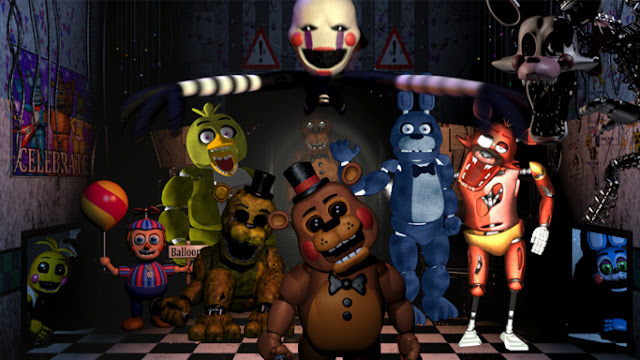 Prima di partire per Colonia avevo letto un articolo di Kotaku che citava Scott Cawhton, il creatore di Five Nights at Freddy's per una sua risposta al pubblico, dopo la release dell'ultimo capitolo della sua ormai (milionaria) saga. Una risposta bellissima, sincera, diretta a tutta una serie di persone che lo attaccavano e che, probabilmente, non avrebbero neanche meritato le spiegazioni ricevute. ...i guess the reason I’m telling you all of this is to make sure you know that I’m human. I have a lot of flaws, and I’ve made a lot of mistakes. My games aren’t perfect, and they never will be. But something more important that I want to convey to all of you, is that you should never listen to people who criticize success simply because it’s success. Being good at something is something to strive for, not something to demonize. Criticisms of my games are fine, and a lot of times the criticism is valid. But there are a lot of people out there who will hate anything that becomes popular, just because it’s popular, and hate anyone who becomes successful, just because they are successful. “Haters gonna hate.” –as they say, but I want you to know that focusing on someone else’s failure or success is the wrong way to live. People who make videos bashing other people are like people who run into a public square and scream into a pillow. They’ll get attention, but they won’t change anything. If you strive to be like them, then you’ll spend your life screaming into a pillow as well, and your life won’t mean anything. The best emails I get are from people who have chosen to pursue game development because of the games that I’ve made, or people who have decided to do computer science, or learn programming. Who will be the next game designer? Who will make the next game for Markiplier to play? Make sure that it’s you! People who hate success will never be successful. Focus on your success, and your story. People always ask me what college I recommend, or what programs I recommend. My answer is to just go forward, practice. Just GET to college, study hard, be awesome at what you do. Make sure that you are next year’s big success story. Don’t fall into the pit of people who have given up on making something of themselves, and make sure you make EVERYTHING out of yourself. I’m getting too old for this. And when I retire someday, I’m going to want to sit down at a computer and play YOUR games, read YOUR stories, and watch YOUR videos. Don’t fall in with the people who have already given up on themselves. You are tomorrow’s next big thing. :)"
Io l'ho trovata commovente e piena di spunti per riflettere, considerando poi la mia situazione di piccolo sviluppatore con fuori due prodotti e relative situazioni da gestire, assolutamente attuale. La verità è che poi, stando in Italia, occorre sempre fare dei discorsi distinti in merito a scenari come questi. Ma ci torno poi. Ora volevo solo condividere questa perla.